Today I have a review on these Christmas water nail decals from the Born Pretty Store. 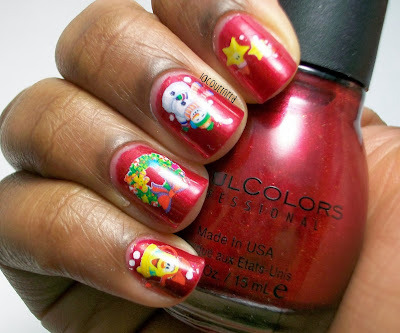 I know Christmas has passed, but these water decals are really cute and simple to use. I've never used water decals before, so I was pretty happy with the results. These water decals come in a sheet with 20 decals. You can do two full manicures or use them for accent nails, which is a lot of decals for the price of $2.86. I also love these designs, they're really cute. For these nails, I used Sinful Colors Sugar Sugar as the base color. After the polish dried, I soaked the decals in warm water for 10-20 seconds. Next, I placed the decals onto my nail and patted them dry with a tissue (the instructions say to use a blowdryer, but this really wasn't needed). Finally, I used top coat to seal in the decals. 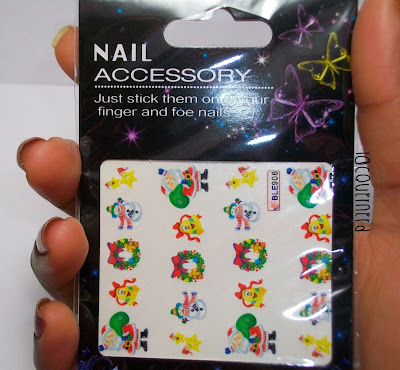 The trick with the water decals is that you have to slip the decal off of the sheet so you can place it correctly on the nail. I made the mistake thinking that they were similar to temporary tattoos, and placed them on backwards. It's not a big deal, but it might confuse some first time users of water decals. These were so quick and simple to do. For using water decals for the first time, I love these. 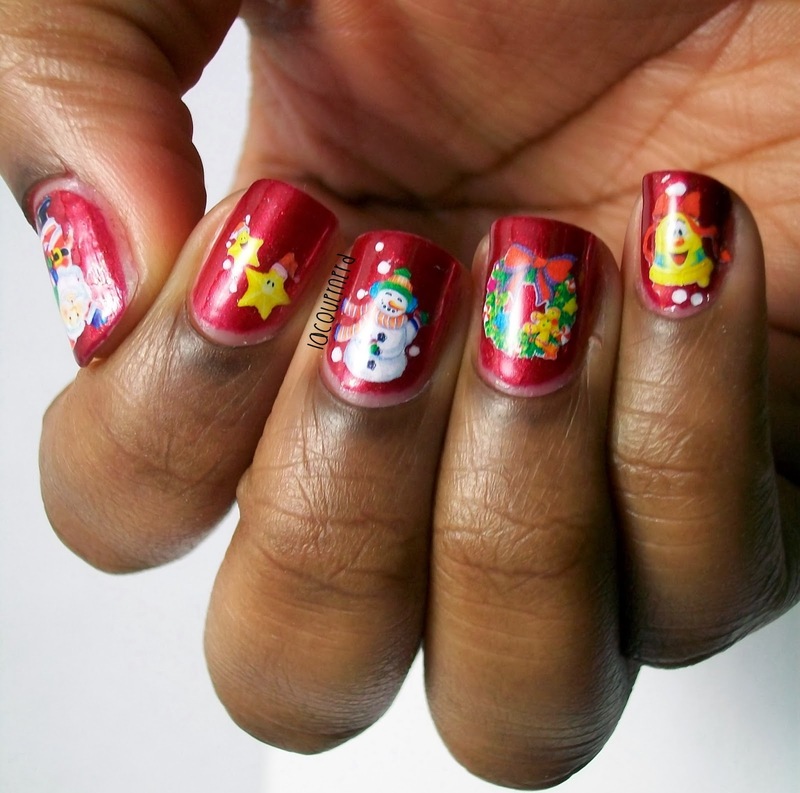 I would definitely get these and decals with different designs.These water decals add so much to your nails. I wish I had actually placed them on the correct way on my nails to show more poses. 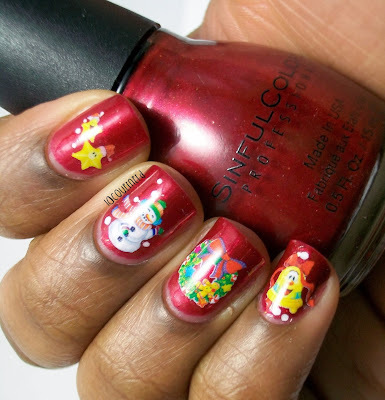 You can get these Christmas water decals for $2.86 and other nail art supplies at the Born Pretty Store. You can also use the coupon code SHBQ10 for an extra 10% off your entire purchase. 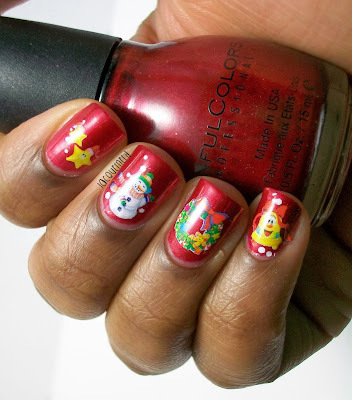 What do you think of these cute water decals? Thanks! I think the snowman is my favorite as well. I like the star one as well.